The guys at Spirit Halloween have been working overtime lately showing off what is going to be available for 2018. Earlier this week they dropped a teaser disguised as a tutorial video about how to use spider webs. Check it out. Late Friday night Spirit Halloween officially unveiled the new prop in an email blast touting their latest animatronic. Unfortunately the Pumpkin Patch Prowler doesn’t say anything. He just laughs when activated. However, at just over six feet tall the Prowler is a pretty big prop that will draw attention at your haunt this October. When activated the animated prop starts moving back and forth and his eyes and fingertips light up as he laughs. I’m not sure what to think about the Pumpkin Patch Prowler. 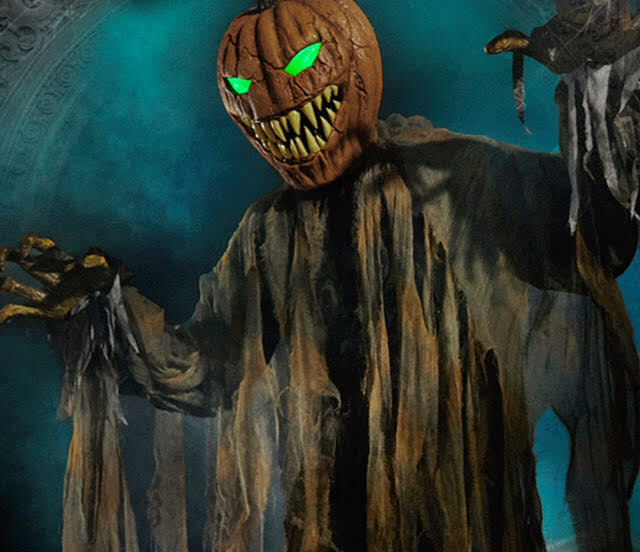 I like the fact that he’s tall but I’ve never been a fan of the animatronic scarecrows or any kind of pumpkin man prop that you see from time to time around Halloween. 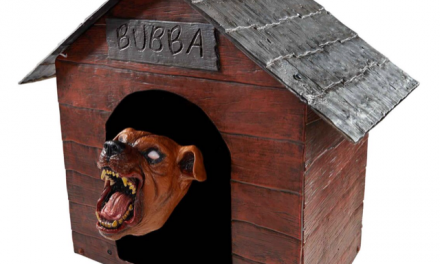 According to SpiritHalloween.com the prop is recommended for use in covered areas. I think that is silly. If you are going to have a big prop like the Prowler he needs to be set up in a field or somewhere outside to be the most effective. But then again, you may want him in your living room. To each his own. At $229.99 I do feel that the Prowler is a little overpriced. 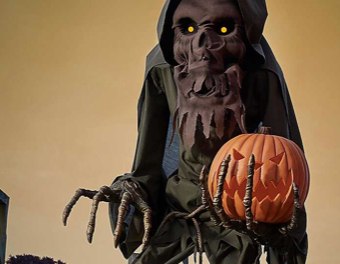 However, Spirit Halloween is famous for sending out 20% off coupons all the time so you will be able to get him for around $180 with the discount.Unfortunately, like most bigger props the Pumpkin Patch Prowler is categorized as an oversized item and will cost you an additional $20 to ship in addition to normal shipping and handling charges. Right now the Prowler is only available for pre-order and will ship in mid-September. For me the Pumpkin Patch Prowler is a no go. But I remain open minded and will give him a look when Spirit Halloween stores start opening in September.